Will the Optic cut OWB Holsters accept my Vortex Venom? Yes, our Optic cut Holster will accept any slide mounted Optic. Please send us a picture of your firearm, sow e can make the optic cut as accurate as possible! I have a threaded barrel, what do I choose for muzzle coverage? Choose whichever coverage you'd prefer, we offer both exposed and covered options. I have suppressor height sights, can you accommodate them? 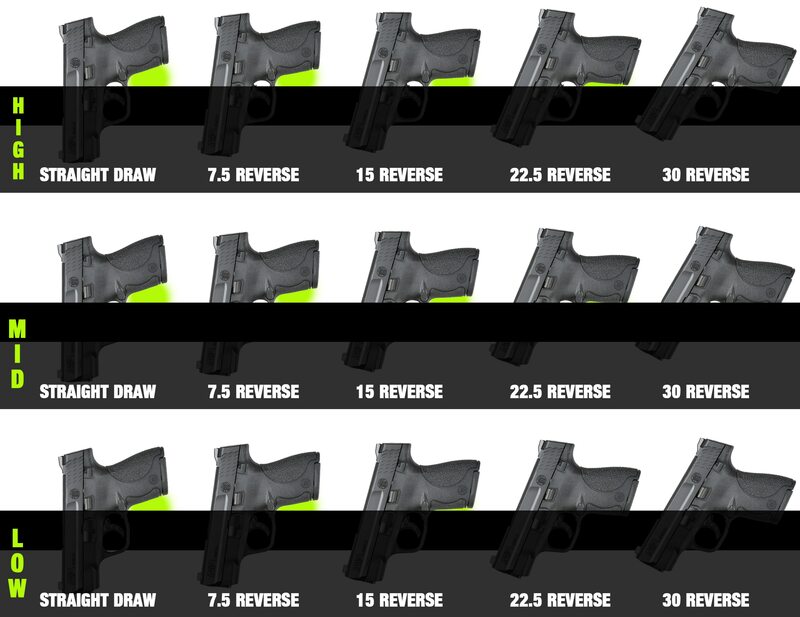 Yes, on each Holster order form there is a check box where you can inform us of your Suppressor Height Sights. Which Belt Attachment is best for me? The most common belt attachment for IWB Holsters is the Clip or "Clip Over" option. Our 1.5" Clips in Black, OD Green and Coyote Brown have been replaced with our new Curved Clips™. For OWB Holsters, the Single Loop is most common, however the Double Loop is our recommended attachment as it allows you to adjust the cant angle and ride height of the holster. Viridian Green Laser Instant On: All Custom Light bearing Holsters have the option for ECR (Enhance Combat Readiness). Our ECR is delivered by a (Ni) plated N48 grade Neodymium magnet. Our ECR magnet is permanently fastened to the inside of our holsters using Stainless Steel hardware, instead of glued in and waiting to fall out like all the other guys. Muzzle Coverage: We offer three levels of muzzle coverage for our outside the waistband holsters: flush, slight wrap and full wrap. 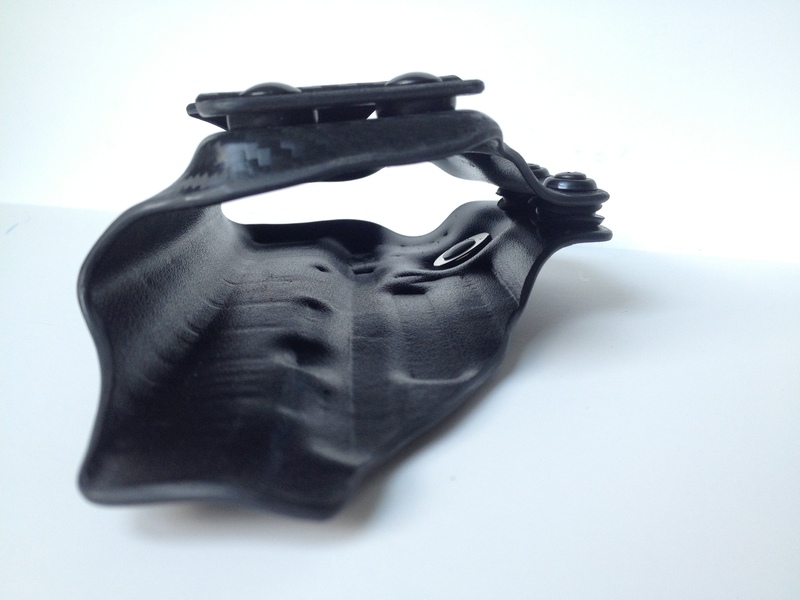 The "flush" muzzle coverage will have the end of the holster ending at the end of the muzzle. The "slight wrap" option has the holster wrapping slightly around the edges of the muzzle. The "full wrap" has the holster covering the edges and extending to almost fully cover the end of the muzzle, with just a slight opening. All inside the waistband holsters have a slight muzzle coverage. 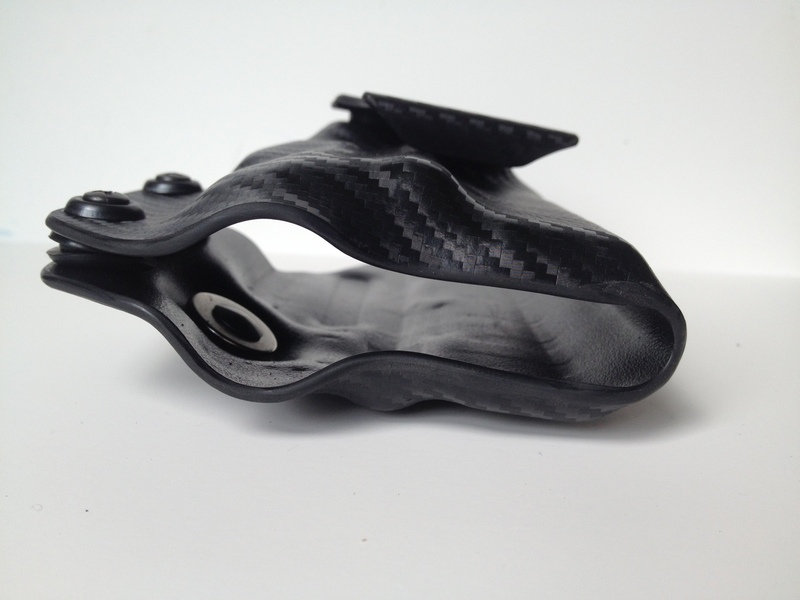 Ride Height & Cant Angle: With any Custom Holster you may choose your own ride height and cant angle. The illustration below will show you what our more common angle look like with each ride height. Magazine Carriers:All Magazine Carriers are made using the exact magazine for a perfect fit. Bullet Orientation: We offer the choice of bullets forward or bullets back for each magazine carrier. 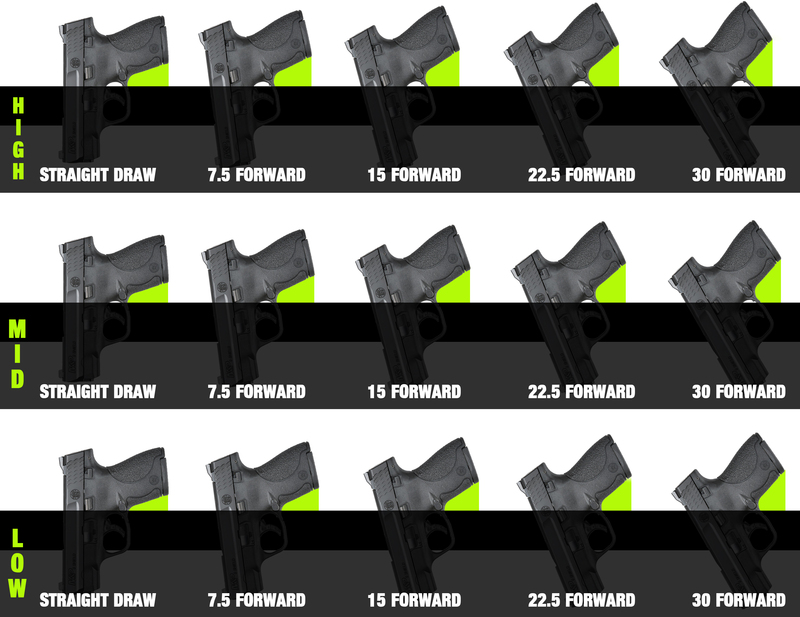 The most common taught method is bullets forward, which is what we recommend.